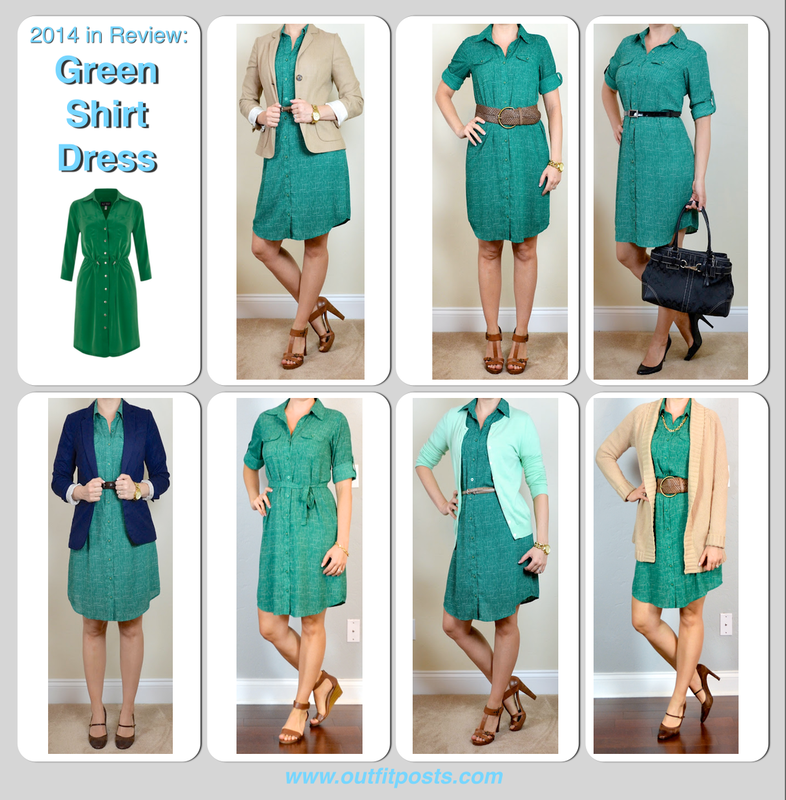 Classic green shirt dress with simple brown & gold accessories. Easy peasy. This green dress is simply perfect! Green looks fabulous on you! And so do those wedges! I feel like whenever I where my wedges like that it makes me look like I'm about 3 feet tall with no legs. You totally rock them! I like this with the slimmer tan belt. I have a different CAbi shirt dress that I adore. This is such a perfect summer work dress!